So confident is Rokker about the anti-abrasion qualities of its jeans that it has issued a unique guarantee. 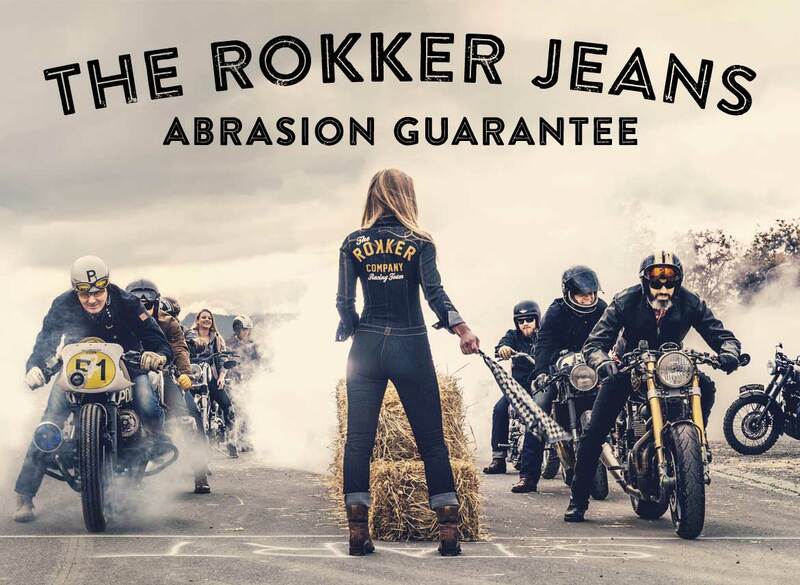 Should you come off your bike in a pair of Rokker jeans, and should the material and lining become torn through so that the skin becomes exposed, then Rokker will supply a new pair of jeans. The hole has to have been created through abrasion and not through a puncturing of the material. To activate the guarantee, Rokker will want your damaged jeans and description of at least 250 words describing what happened to create the damage. The guarantee applies only to jeans purchased through Motolegends.